When Graham Logan draws the Queen of Swords, he knows he’s about to meet the love of his life. For the third time. But surrendering his heart will mean risking her life…or making her what he is--two things his beliefs won’t allow him to do. Graham rages at God: Why give her back only to take her again? This book has it all, soulmates, hot vampires , Celtic lore, witches , and eternal love for the agers. Nina is a new author that I am very happy that I found. 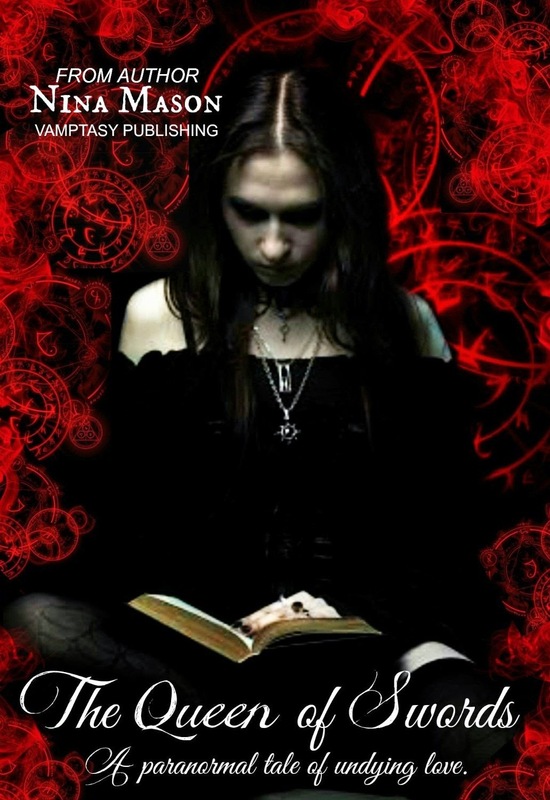 Her mix of Celtic lore, vampires and undying love of two soul mates. Is a new mix that makes for a very enjoyable read. Her characters are written with such intensity that you just want to cheer for. They are tortured and you can feel their pain. The pain of loss of love and knowing that out there there is something or someone that is your missing piece. The historical aspects of the book added a lot of depth to these characters. To know what went on in Graham's life as he fought and found Cat was great. You find out a bit of the Scottish tradition and lore . Even the history of the kilt and the clansman. I know some of you might not like that but hey I love it. Anything Scottish from men to lore make me swoon. Oh did I also say that Graham is really hot in a kilt . One of the reason's Cat is in lust with him at first, well honestly who wouldn't be .